On the internet I see a lot of QR Codes being offered as Dynamic QR Codes. This called for research since QR Codes by themselves are to be considered static. For a QR Code to be dynamic, the black/white pattern needs to change in order to generate a new link for the same code. So what are dynamic QR Codes? The link (URL) in the code has to link to a forwarding page. The content of this forwarding page can be controlled to redirect the internet traffic to a page of your choosing. Whoever controls the forwarding page controls the traffic, by just changing this page you make your QR Code dynamic. There are a couple of companies that specialize in offering this service. Included in this service is also the possibility to perform statistical analysis, and the cost of this services varies from cost per access to a flat fee. The cost, and being dependent/having to rely on a third party made me look into alternative. Suppose your domain is "www.MyDomain.com", and your host gives you the possibility to make your own sub-domains. I would make a sub-domain called "qrcode.MyDomain.com". Make or have a QR Code made that links to this forwarding domain. And your Dynamic QR Code is finished. 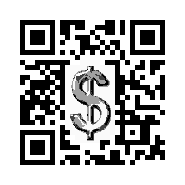 At the time you need your QR Code traffic going to a different URL just change this code. For statistical tracking, use google analytics (or another service). Just add the code supplied by goolge to the HTML code as shown above. 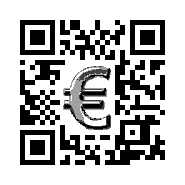 If you require a fast scanning, error free QR Code, dynamic or static :-), don't hesitate to visit http://www.kangaderoo.nl to see more examples of what is possible with QR Codes.